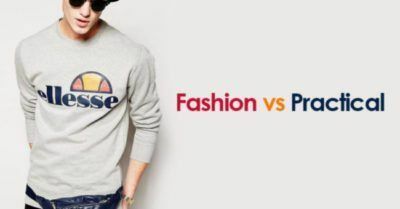 There are a few phenomenons in fashion that will always be controversial. The fanny-pack, belt bag, hip-sack or man bag is one of them. Traditionally, fanny packs were associated with the tourist who was simultaneously juggling their camera, passport and map whilst annoyingly asking for directions. The very nature of sightseeing calls for casualwear therefore their attire is far from fashionable! So, top brands have been delving into their archives of top sellers in footwear and clothing, working on the angel of nostalgia… so why not accessories… like the fanny pack? They were a huge hit in the 90’s, back again around 2011 although not too successful but it seem this little multi-functional “belted satchel” or “hands-free bag” is back on the cards. Top design houses like Chanel have designed the bags to hang from thin, double-wrapped belts to be paired with both daywear and eveningwear. Alexander Wang has opted for slouchy fanny packs slung over the shoulders or to be worn across the body, either way, retailers are been seen to have picked up on the hands-free trend this season. Unlike the 90s iteration, however, this season’s hip-hugging bag is more chic than those you would find on your average tourist. Ready to embrace the trend? If so, what about bum bags – they are looking ever more likely to be the next style stop aboard the retro bus so consider embracing this rather practical trend, after all, a lot of fashion is not always practical. View our full ellesse collections here.